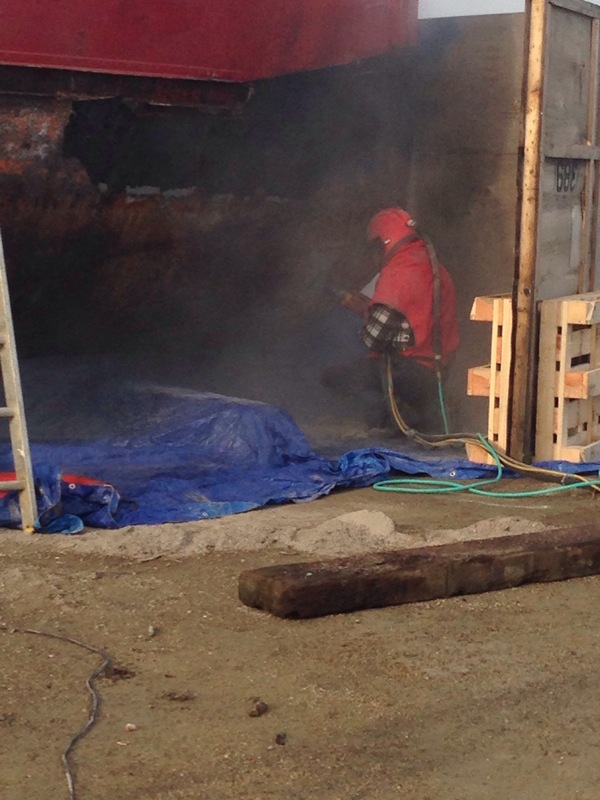 1- Shotblasting involves firing shot, glass, sand or lead at a metal surface to remove all paint and rust. 2 – it cannot be done in the rain, snow, damp, or when the shotblaster doesn’t fancy it or wants a fag. 3 – the shotblaster wears what looks like a diving hood and point a gun that fires the blasting material at the metal. It then bounces back all over the floor. 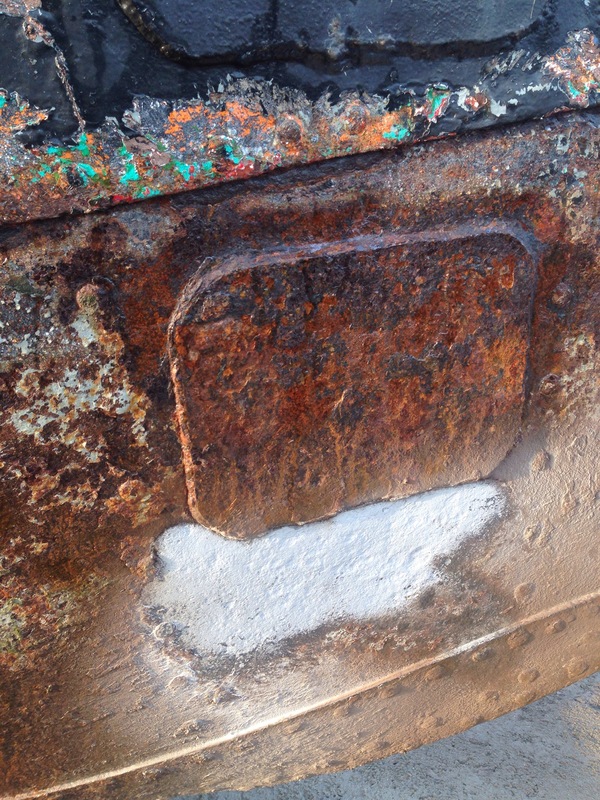 4- the surface revealed is dullish grey like zinc and needs to be covered immediately in shop primer (more on that world of hell later) to stop it re-rusting. It is basically microdermabrasion for boats. A little video of the work in progress. Can’t work out how to get the sound working so a little pointless. When the helmet is on and the compressor is running, you can’t hear him moan!! This entry was posted in Uncategorized on December 13, 2013 by hellyboo.